Every organization, including yours, wants an edge, whether that advantage is getting to market first, delivering exceptional customer experiences or creating unique operating efficiency. And now you have an easy starting point—SAP S/4HANA on IBM Power Systems servers in the IBM Cloud, a new capability announced at Think 2018. In-memory databases such as SAP HANA allow rapid, cost-effective analysis of today’s massive data sets. On the hardware side, IBM Power Systems servers are designed to provide the performance needed to drive data-intensive analytics. With the introduction of the SAP-certified Managed Cloud Large SAP HANA service on Power Systems, this hardware, software and services combination is now available in IBM Cloud. Many IBM customers already benefit from running SAP HANA on the IBM POWER architecture in their on-premises data centers. Power Systems servers can deliver a highly-differentiated SAP HANA infrastructure with flexibility that is enabled through the IBM PowerVM virtualization model. They also offer large-memory capacity and high bandwidth that provide exceptional performance. 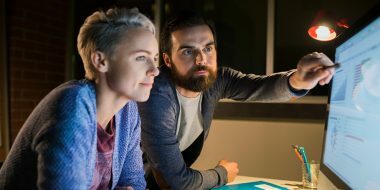 The speed of execution and access to data provided by SAP HANA on Power Systems is well suited for today’s advanced technologies such as machine learning and cognitive analytics. From an IT management perspective, deploying Power Systems for SAP HANA helps enable more efficient use of server consolidation for cost savings. 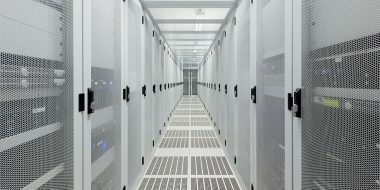 Organizations can run multiple SAP HANA production instances per Power Systems server, potentially reducing the data center footprint and hardware acquisition expenses. Power Systems also provides a highly resilient platform for SAP HANA, helping to meet user and business uptime expectations. Many organizations facing the challenges associated with supporting large, concurrent SAP HANA workloads may have wanted to move to managed cloud options because of speed, cloud consumption model and skills, but they have lacked those options. Moreover, speed is critical for the analysis and action needed to achieve business objectives, and it requires the right combination of IT capabilities to gain that desired edge. Availability of these resources on IBM Cloud gives organizations the additional cloud economics benefits of performance and efficiency provided by SAP HANA on Power Systems. For example, rather than making capital expenditure (capex) investments in infrastructure to expand their SAP HANA portfolio, businesses can grow or shrink their cloud environment on demand. This operating expense (opex)-based cloud model helps organizations to free their critical resources for other projects. In addition, capacity matters in this era of massive data sets. IBM and SAP clients can obtain the same large SAP HANA database capacity—up to 24 TB—with the same on-premises scale-up Power Systems speed, scale and resiliency. Customers can start with a small configuration and scale up in 1 TB increments in a non-disruptive manner without requiring data repartitioning. Even large enterprises can take advantage of this capacity and run SAP HANA in-memory analytics in the cloud. The solution leverages flash-based storage in the IBM Storwize family. IBM Cloud offers another advantage. Extensions, at additional cost, are available to provide integration with other IBM Cloud services such as the Internet of Things (IoT), blockchain and IBM Watson services. These integrations empower businesses to develop innovative new services and capabilities, including AI integration with SAP HANA. The recent SAP-certified Managed Cloud Large SAP HANA service on Power Systems solution is supported by IBM Cloud Managed Application Services. Stay tuned: this integrated hardware, software and services solution is just the beginning of exciting innovations expected for IBM Cloud. Learn more about scaling your large database workload capacity in the cloud.